We have visited the Saruni Mara Lodge in Kenya for several years. We appreciate how Saruni works within the community to share the benefits of tourism. We have always enjoyed seeing the local school and church when driving from the camp onto the plains. It is wonderful to see the children enjoying their school and church. Through the Saruni monthly newsletter we became aware of the Pack for a Purpose initiative and decided we would love to participate. 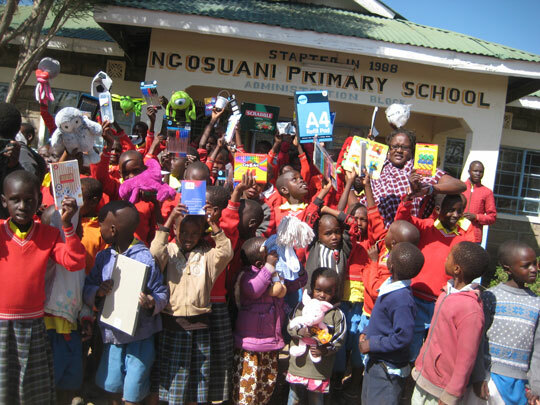 We purchased school items such as crayons, chalk, pens, pencils, dictionaries, calculators, educational games and soft animals and footballs. These were packed in 2 separate suitcases (including some second hand clothing. As we are restricted to 15kgs weight on flights from Nairobi to the Mara, we arranged with Saruni management to collect the 2 suitcases in Nairobi and transport them by road. 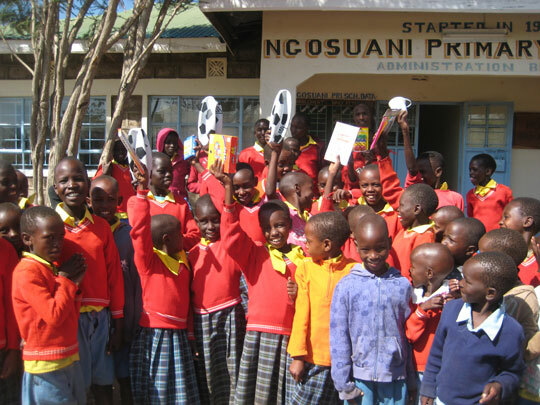 Saruni then delivered the suitcase to the Ngosuani Primary School. Thanks very much for your assistance and the photos of the children receiving the gifts. It was great to see the excitement and happy faces.